Samsung UK has posted that the long awaited upgrade to Ice Cream Sandwich for the Galaxy S2 is still not ready. Samsung Galaxy S2 owners are starting to lose their cool as they continue to wait for Android 4.0 to hit their handsets – and it looks like the waiting isn't over yet. 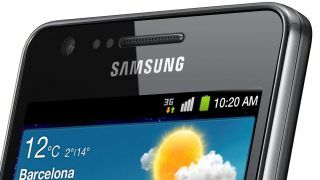 Samsung UK posted on its Facebook wall: "Samsung UK is working hard to bring Android 4.0 (Ice Cream Sandwich) to our Galaxy S II customers. "We are unable to confirm exact dates as the software testing and approval process is subject to several variables, but we are working as quickly as we can. Thank you for your patience." This is somewhat of a surprise as we heard that Samsung would start rolling out the update to UK carriers from the 19 March, with customers who purchased an unlocked Galaxy S2 being able to download the update from that date. This was followed by Three confirming it had started to rollout the Ice Cream Sandwich update to its Galaxy S2 customers on the 20 March. All very peculiar stuff from Samsung, and it leaves us wondering when we will actually see the Ice Cream Sandwich update for the Galaxy S2. O2 claims that it will have the update ready for its customers by the end of the month, but with this latest news from Samsung, could it be subject to change? TechRadar has contacted Samsung and O2 to try and find out what it going on. We'll update this article once we've heard back.